Price: $15 for the set, plus shipping. 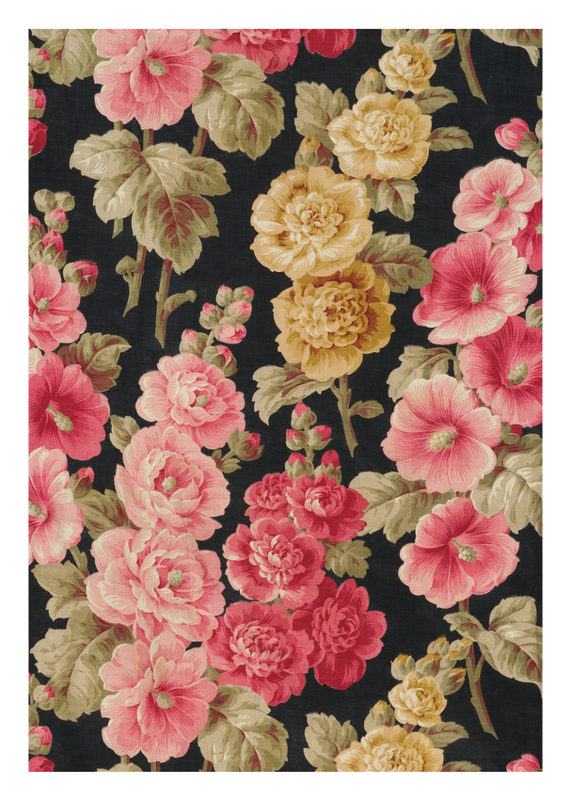 Roses, hibiscus, and violas are the centerpiece of this beautiful Russian roller-printed cotton. Exported to Central Asia in the mid-20th century, it became the lining of a woman’s purple silk robe. 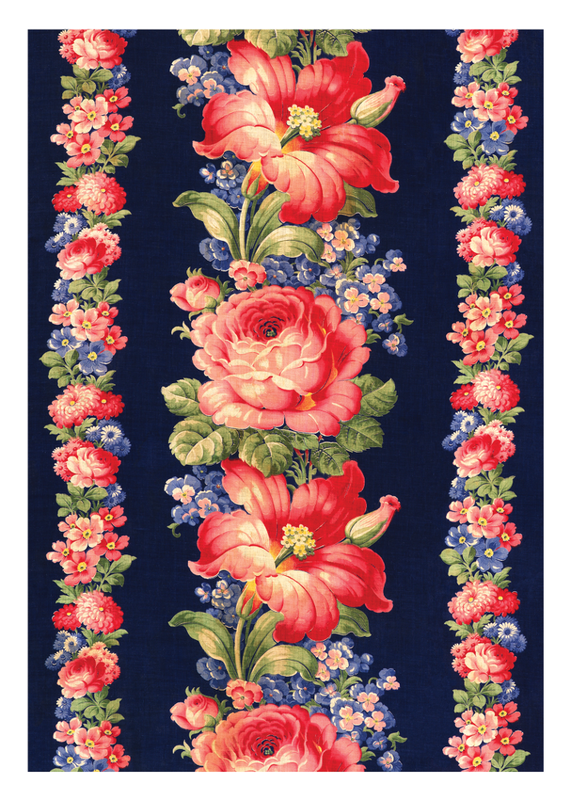 The stylized flowers and sinuous curves of this pattern are classic Art Nouveau. 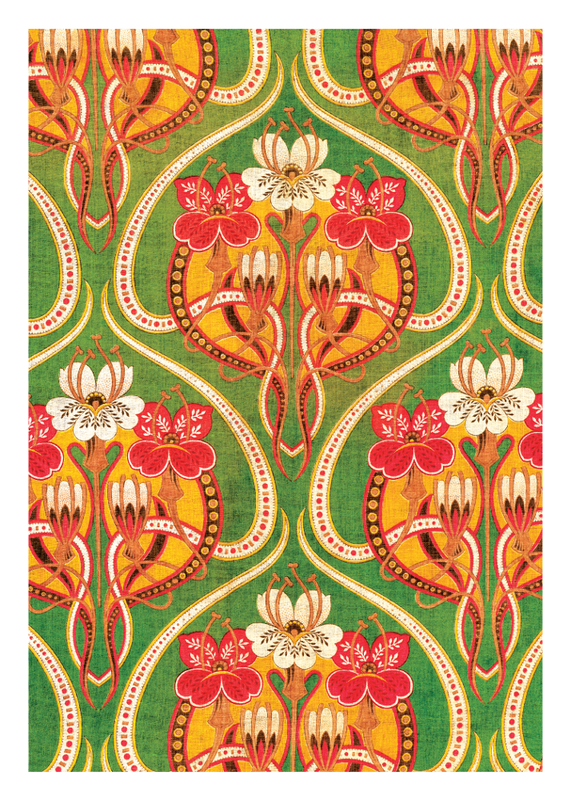 Designed and roller-printed in Russia, this fabric was exported to Central Asia around 1900 where it was used to line a young boy’s coat of costly silk brocade. This fabric was block-printed in Russia during the 3rd quarter of the 19th century. The green was achieved by overprinting blue with yellow. Exported to Central Asia, this cloth became the facing for a woman’s silk warp/cotton weft (bekasab) striped robe in shades of chartreuse, rose, violet, and pink. 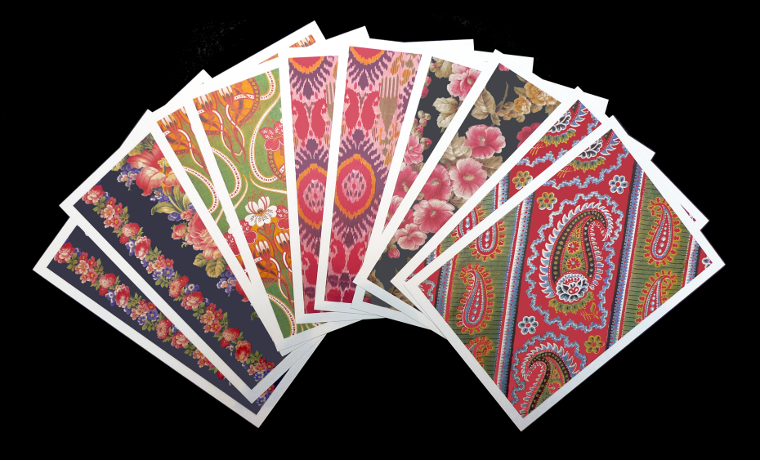 Russian textile manufacturers were as aware of fashion trends as their counterparts in the West. They all looked to France as the style setter. 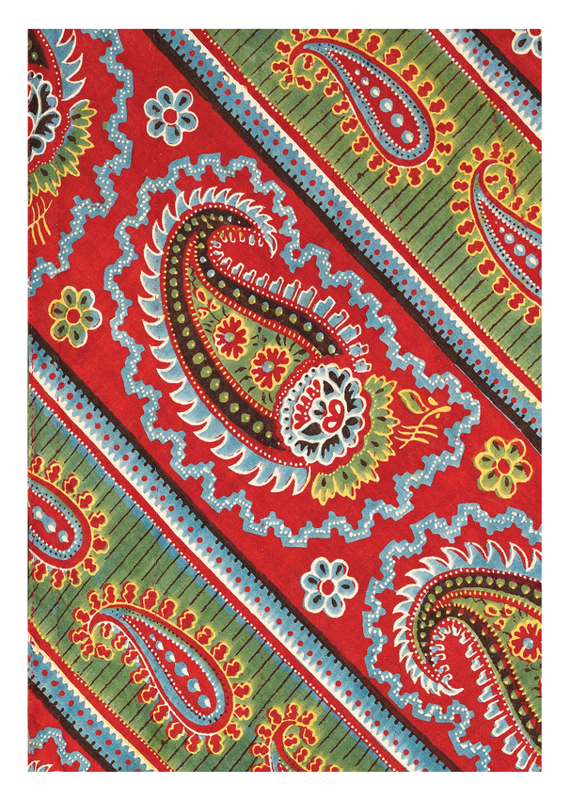 As a result, many printed fabrics exported to the bazaars of Central Asia had a decidely Western look. This roller-printed cotton was the lining for a woman’s adras ikat robe. It dates from the late 19th century. Ikat cloth was not only used to make luxurious robes, well-to-do families also made wall hangings and quilt covers from it. The three joined panels of this ikat are part of a large quilt called a “kurpa”. 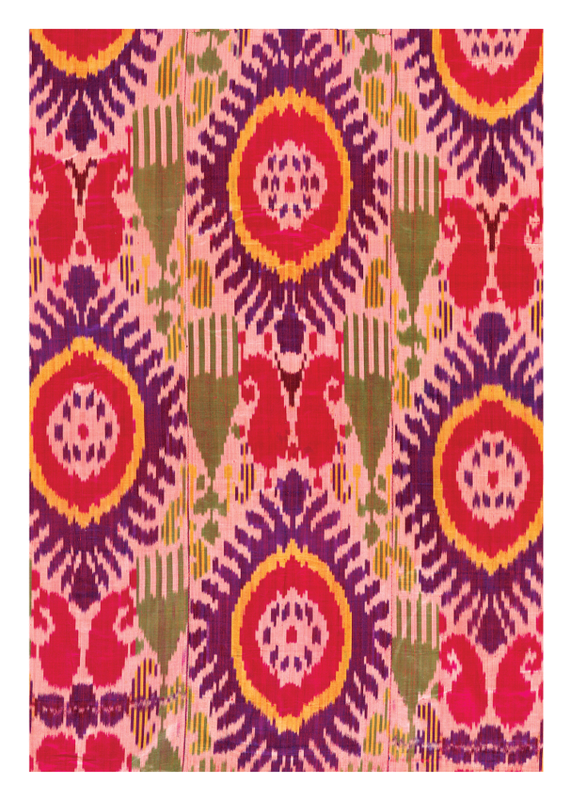 This ikat was probably made in Bukhara, Uzbekistan during the early 20th century.